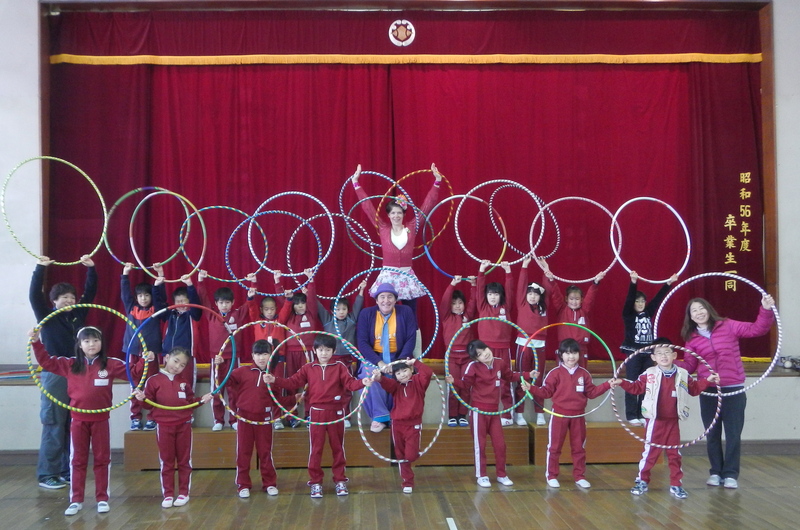 Hoops and Smiles keep Tohoku kids warm! The frigid weather couldn’t stop the Smile Ambassador’s 3rd Tohoku tour of 2012! Last week we visited 11 schools and interacted with over 600 kids from Rikuzentakada in southern Iwate to Kamaiishi in the north. Big thanks to our special Hula Hooping guest performer Kristen Mcquillin! Kristen’s hoop shows and workshops really warmed everyone up. 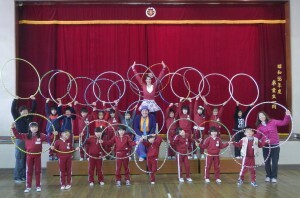 She and her crew from Spin Matsuri (www.spinmatsuri.com) also made and donated over 100 Hula Hoops. It’s too cold to play outside so Hula Hoops were the perfect gift to keep the elementary school students active and physically fit!